Should there be Empathy for Terrorism? Being an advocate of universal empathy and benevolent reciprocity, acts of sheer terror such as the Charlie Hebdo attack place me squarely on the horns of a dilemma, especially since I am opposed to the death penalty as well. So, since I do not shy away from cognitive dissonance, as I write this piece, I will attempt reconcile my seemingly opposing concepts. I turn to philosophy. If all mankind minus one, were of one opinion, and only one person were of the contrary opinion, mankind would be no more justified in silencing that one person, than he, if he had the power, would be justified in silencing mankind. 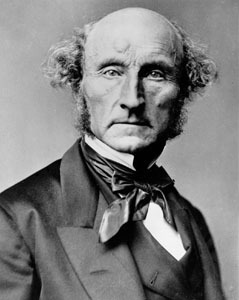 –John Stuart Mill, On Liberty, Chapter 2 – Of the Liberty of Thought and Discussion. Side note: It is clear to me that this mode of thought, in no small measure, influenced Jefferson and Madison when they crafted the Establishment Clause of the First Amendment, the intent of which is laid out in Jefferson’s Virginia Bill for Establishing Religious Freedom. And that intent is the very heart of a constitutionally limited, representative democracy (a republic). I no longer see our nation as such, however, but that is an argument for another time. Thus I have to say that Charlie Hebdo has, in my opinion, every right to lampoon fundamentalist Islam, bearing in mind that their parodies of Mohammad is not the root cause of the terrorist attack, but was a contributing factor. On the other horn of my dilemma is the root cause of the Charlie Hebdo attack—that of the right of fundamentalist religions to preach and believe as they do—a religious teaching that encourages murder as revenge for perceived insults to Islam. Too, it is for the most part a mindset with which one cannot reason. This last point, of course, is the same for peaceful but still dangerous fundamentalist, religious beliefs of Western nations. If one is convinced that he will burn in an everlasting Hell if he does not abide by the doctrines he was taught to believe, how can anyone change his mind? Cannonballs of logic and reason will not dent his walls of dogma. But, has he the right to teach and build those walls for others? First, if any opinion is compelled to silence, that opinion may, for aught we can certainly know, be true. To deny this is to assume our own infallibility. Secondly, though the silenced opinion be an error, it may, and very commonly does, contain a portion of truth; and since the general or prevailing opinion on any subject is rarely or never the whole truth, it is only by the collision of adverse opinions, that the remainder of the truth has any chance of being supplied. Thirdly, even if the received opinion be not only true, but the whole truth; unless it is suffered to be, and actually is, vigorously and earnestly contested, it will, by most of those who receive it, be held in the manner of a prejudice, with little comprehension or feeling of its rational grounds. And not only this, but, fourthly, the meaning of the doctrine itself will be in danger of being lost, or enfeebled, and deprived of its vital effect on the character and conduct: the dogma becoming a mere formal profession, inefficacious for good, but cumbering the ground, and preventing the growth of any real and heartfelt conviction, from reason or personal experience. —John Stuart Mill, On Liberty, Chapter 2 – Of the Liberty of Thought and Discussion. Therefore, fundamentalist Islam does, indeed, have a right to teach its opinions, although Mill would not condone—nor would any person possessing even a molecule of humanity and reason—allowing it to act out its nefarious teachings. The solution? By allowing radical and harmful ideas to be spoken, society, perceiving the danger, knows who to watch and to whom contrary opinions, especially those of empathy, must be conveyed. Still, there must be constraints, especially in fundamentalist Islam, to prevent harmful acts. If the individuals of the group are beyond reason, then society must protect itself, by any means necessary—although capture should be our primary concern. However, terrorists who are captured should not be put to death, but imprisoned and detoxed, if possible, of their harmful concepts. If they cannot be detoxed, then they must remain in prison and be treated humanly. This episode highlights why I promote the view that every individual should rid himself of all religious dogma, saving only the single concept of benevolent reciprocity: do unto others as you would have them do unto you. This goes for Western nations as well. Our primary goal, above all, should be the elimination of poverty and corporate/government greed–the ultimate medium for radicalism to grow. I welcome your arguments and corrections if you find any. Max T. Furr is author of The Empathy Imperative, a philosophical novel that takes a critical look at justice, love, and mercy, and written in the spirit of the BBC/WGBH Boston film production, God On Trial. I ran across this video just now and found that the message fit perfectly the theme of my blog. I invite all to listen closely all the way through. Comments will be appreciated. Empathy is the act of mentally projecting oneself into the mind of another and trying, as much as possible, to experience his life and environment as he sees and feels it. To understand his emotions, his hopes, and his constraints. Empathy is much more than mere sympathy. It is brother/sisterhood with family, friends, and strangers. It is feeling for others as you would feel for your own young child. It is understanding the devastation that poverty, neglect, and indifference have on the world view of an impoverished child. What you would not want for your child, you would not want for all others. This is the concept to which Prince Ea points.